Demetrios stars an antique seller named Bjorn Thonen, who arrives home drunk one night to find that he's been robbed. Deciding to investigate himself, with the aid of his next door neighbour Sandra, Bjorn soon ends up in a "murky affair" that takes them to locations such as France, Germany, and a mysterious African country. The more they travel, the higher the stakes are raised as these two unlikely heroes discover long-concealed ancient secrets. As serious as the subject matter might sound, the developers promise a light touch with a "distinct use of cynical humor to justify the characters' motivations." 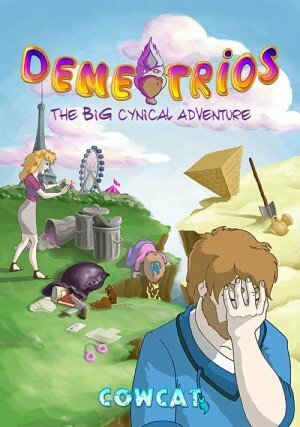 Inspired by such beloved series as Broken Sword and Runaway but presented in first-person perspective, Demetrios features hand-painted HD graphics. The environments promise to be highly interactive and contextual, with other characters offering different responses to even the "stupid" actions you take. Puzzles and minigames will be integrated into the story, and hidden collectibles will enable in-game help should you need it. The game will be point-and-click by default, but COWCAT is also considering a gamepad option as well. There's no need to accept all this second-hand, at least for PC gamers, as a playable demo of the game is already available from the official website. (Note: email submission is required, but the demo comes with no strings attached.) 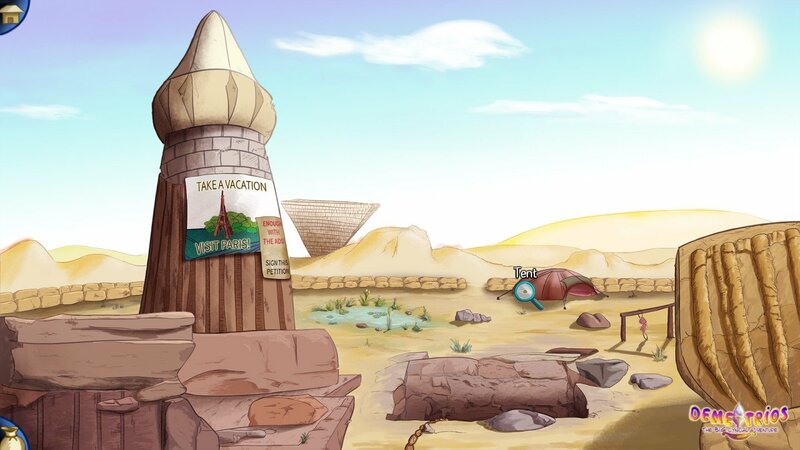 Offering over an hour of gameplay, this demo offers a substantial slice of Demetrios, but the full game should provide significantly more than that at 5-10 hours in total, depending on how thoroughly you explore and experiment. And unlike many early projections, this one is based in some fact, as the current version of the game is an updated remake of a version originally developed 15 years ago but never released. 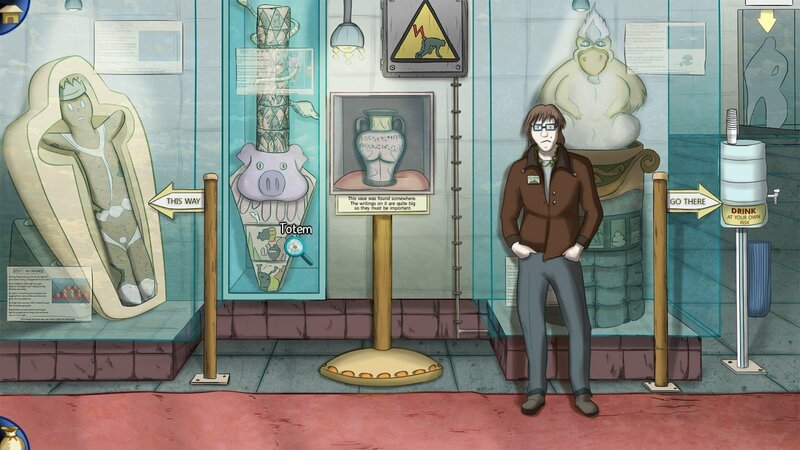 There is no firm release date for Demetrios just yet, but the current plan is to launch the game for PC, Mac, and Linux sometime in early 2016. Just take that target with an appropriate amount of cynicism. 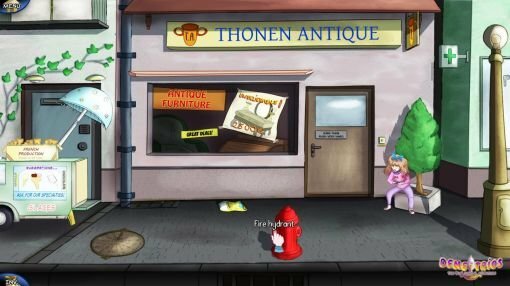 Bjorn Thonen is an antique seller who returns home drunk one night to find that he’s been robbed.